A Green Christmas is the new White Christmas - only more predictable, achievable and better for you and the environment. The Christmas holidays are undoubtedly a period of festive spirit, family and sharing, but there’s also an awful lot of unnecessary waste and negative environmental impact, often going unnoticed. how much Excess waste is generated at Christmas? It’s not just a case of good morals, although that is important. Creating eco-friendly habits and making positive changes can improve your well-being, self-worth, and save you money in the process – studies have shown that doing an environmental good deed will make you feel good! The transition to green is easier than you think. The key is to incorporate small changes and considerations into your normal routine – think about the items you buy, how you use them and how they are disposed of. Below are 6 simple, non-extravagant ways to make your Christmas much greener this year. Buying a real tree from a local, sustainable grower is the best way to minimise your environmental impact. 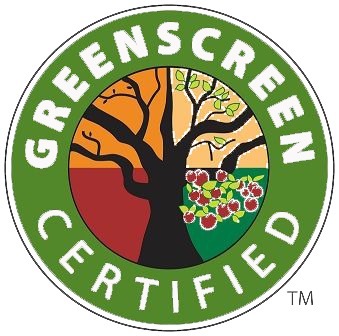 Make sure that it’s Forest Stewardship Council (FSC) certified so you know it’s from a responsibly managed farm. If it’s a small, local grower without FSC certification, ask if their stock is managed sustainably. Even better, buy a tree that is certified as organic and pesticide-free by the Soil Association. 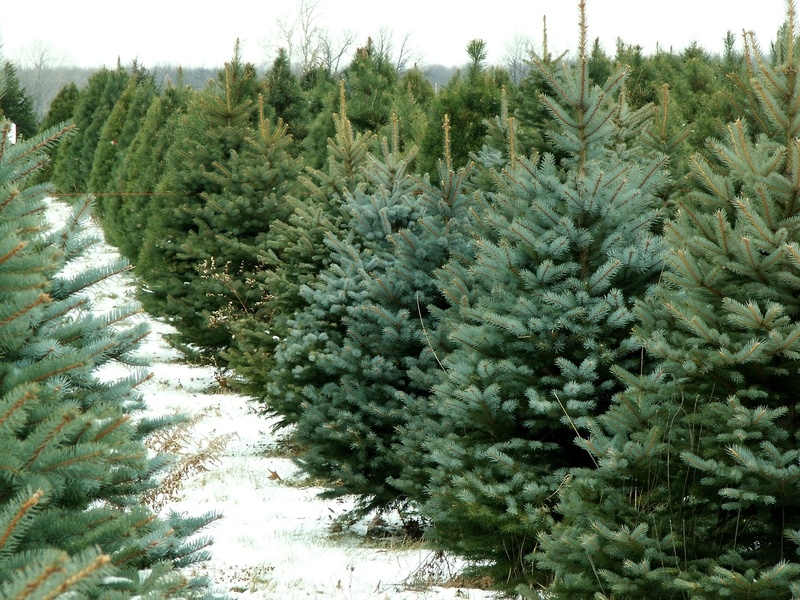 Artificial trees are reusable, but this doesn’t make it sustainable. To reduce your environmental impact you’d have to use the same tree for at least 10 years, some say 20 years. Furthermore, the only end-option for PVC trees is landfill. When Christmas is over, make sure you recycle your tree. Unlike fake trees, real ones are 100% recyclable and biodegradable. You can break your tree down and use it in your garden or take it to your local recycling centre where it will either be chipped to provide covering for parks and pathways or shredded and mulched to be used as compost to help next year’s trees - completing the cycle. According to the Soil Association, food choice is one of the simplest and most effective ways to clean up your environmental footprint. If you’re planning on having meat over the Christmas period, try to make it organic and free-range – certified meat is fully traceable from farm to fork. Accompany this with organic vegetables that are light on packaging or, even better, loose with no packaging. We know Christmas can be an indulgent time. Plan where possible to minimise waste, but if you do have leftovers, transform these into new recipes or share them with someone in need. 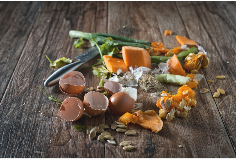 If you still end up with spare food, don’t just throw it in the black bin – put it in your food waste bin or composter. There are some real quick wins you can implement to save energy use and reduce your bill. Turning your thermostat down by just 1oC could cut your heating bills by up to 10% over a year. However, research suggests the best energy-saving change you can make is to turn your thermostat down by 2oC from 20oC to 18oC – this will save 33,400 GWh of energy per year. Compare this to only filling the kettle to the required amount (saving of 1,200 GWh/y), always using the eco setting on your dishwasher (1,130 GWh/y) and turning off lights when not in use (2,100 GWh/y). LED lights typically use between 25%-80% less energy than traditional incandescent bulbs. When it comes to your Christmas fairy lights, most modern day sets are now LEDs. They've grown in popularity due to their minimal electricity use and because they produce little heat, meaning they're perfect for wrapping around your tree. Although they may cost a little more upfront, a normal household LED bulb will last 10 times longer and save around £40 over the bulb lifetime – multiple this by the number of bulbs and this is quite the saving! For your outdoor lights, try solar-powered Christmas lights with a timer to stop you wasting unnecessary electricity. 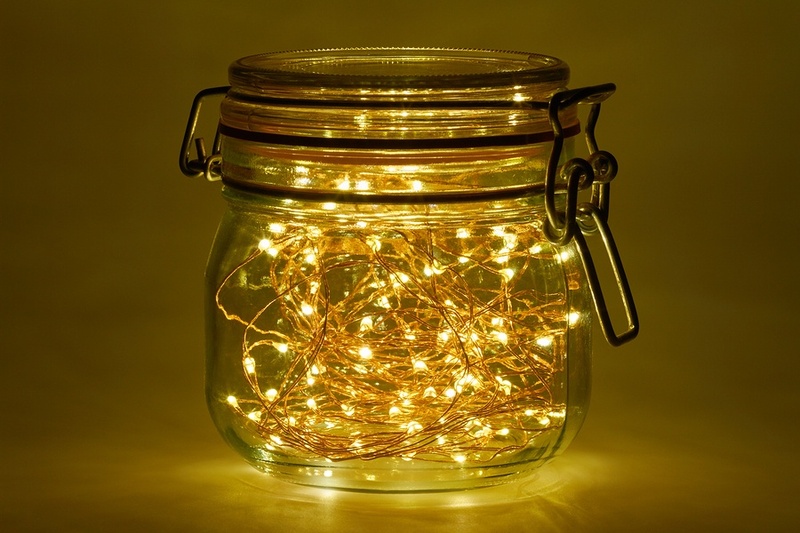 Indoors, increase the cosiness factor by turning your fairy lights on, the main room lights off and lighting a few eco-friendly, non-paraffin candles. If you’re a little chilly during the winter nights, grab a cosy blanket – made from sustainable fibre of course – to warm up! Don’t be afraid to regift, up-cycle, buy something second-hand or even make your own gift this year for a super-low footprint! If you do have to buy, consider gifts that will promote sustainable living or getting in the great outdoors – time is one of greatest gifts you can give! 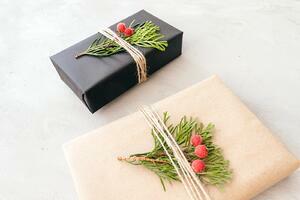 Not all gift wrapping is pure paper. Some is plastic-based, contains foil or decorated with glitter - none of which can be recycled. Try sourcing recycled wrapping paper or brown kraft paper for a greener approach – remember to look out for the FSC label. Alternatively, save up used newspapers and put this to good use. If you’re using a gift bag, re-use one you have in the house and save any you receive this Christmas. Make sure all the paper-based wrapping on your presents is recycled – if it scrunches up into a ball and keeps shape, it’s probably recyclable. With over a billion Christmas cards being thrown away in the UK alone each year, consider ones made from recycled paper that are eco-friendly or even a plantable variety! Your Christmas doesn’t have to be a wasteful one. 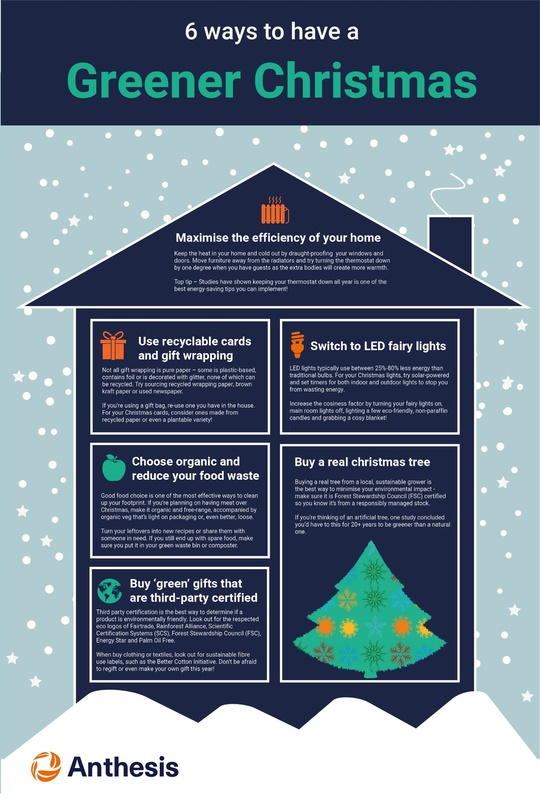 With these six simple tips, all it takes is a little consideration and a few small changes and you’ll be on your way to green, sustainable, feel-good Christmas this year.